Sara F. MasciaVice President and Principal Investigator | Historical Perspectives, Inc.
Dr. Mascia began working with HPI in 1994 as a Project Archaeologist and became a Vice President in 2003. She meets the professional qualifications of the National Park Service’s 36CFR 61 and is certified by the Register of Professional Archaeologists (RPA). In addition, she receives annual OSHA HAZWOPER training. She has been the primary author for numerous cultural resource assessments and disturbance memoranda in the tri-state area. Dr. Mascia has been responsible for devising, implementing, and overseeing documentary analysis and field investigations designed to assess archaeological and historical potential. These projects have taken her to a full range of urban, suburban and rural sites. Although her specialty is in Historical Archaeology, Dr. Mascia has experience with both precontact and historical investigations and has completed countless Cultural Resource Assessments for Environmental Impact Statements. Dr. Mascia also has extensive experience with the identification of historical artifacts. In 1994, the Register of Professional Archaeology certified Dr. Mascia in field archaeology, laboratory analysis, and documentary research. Dr. Mascia currently serves as a Board Member and Treasurer of the Society for Historical Archaeology. 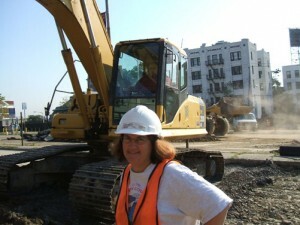 She is also the Treasurer of the Council for Northeast Historical Archaeology. In her local community, she is the Curator of the Historical Society, serving Sleepy Hollow and Tarrytown, NY. In this role, she has created numerous museum exhibits, generated research catalogs, and established educational programs.